See cars and us, we’re not so different. Your car needs a makeover as often as you do. It likes to stay clean, dirt and rust-free. But finding time to get your car to a commercial wash station is probably not something you'd want to spend your time on. Like always, their team did a great job! Excellent job! My car looks brand new. Service was really very good. But washing your car at home is a herculean task in itself. You’ll be drained by the time your get done with it. You'll also need the right tools and the appropriate cleaning agents so that you don't end up damaging the paintwork or surface coatings of your car. We provide you complete car wash service covering both interior and exterior detailing to give your car the spa treatment it needs. Your car will be pressure cleaned from the exterior and thoroughly vacuum cleaned from the interior. Seats and roof are dry-cleaned. Parts like dashboard, doors, windows, steering wheel, floor mats, hand rest etc. are not only thoroughly wiped and scrubbed clean but also polished to restore showroom like perfection. A complete car wash has many worthwhile benefits, more than what meets the eye. Hand wash doesn’t provide the adequate supply of water to clean off the dirt and grime that get accumulated on cars overtime. A simple hand car wash may remove dirt from the visible outside layers of the car but the tougher, more obstinate and hidden stains can only be removed during a complete professional car wash. 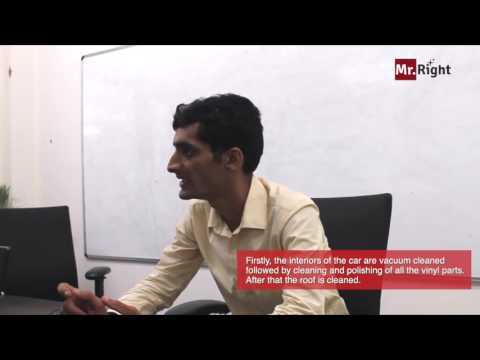 Removing those hidden stains help in extending the life of various parts of the car. A professional car wash service provider while washing your car also ensures that the correct detergents, cleaning agents, and gadgets are being used in the process. So, rather than using low quality or inappropriate cleaning agents to clean your car, it’s always better to get your car to a nearby professional car wash service or hire a service provider who can do it at your doorstep and at your convenience. Professional car wash services not only provide you a wide range of options to clean your car thoroughly but also help maintain the luster and shine of your car from the outside and clean out all the germs and filth from the inside. What’s included in Complete Car Wash? Our professional car wash service providers use special tools to clean your vehicle of all kinds of dirt, accummulated grime and odors in your car – both inside and outside. Keeping your car clean not only helps in keeping your car clean but also helps in maintaining your car parts from corrosion, thus helping retain more resale value. Interior Detailing: Interior detailing is a process involving cleaning of the smallest vents and switches using a wide variety of micro-fibre cloths, brushes, vacuum cleaners and other equipments. Interior detailing includes carpet cleaning and proper cleaning of seating surfaces. This process is usually carried out using a shampoo or steam cleaner. All plastics and vinyl parts are properly cleaned and leather and upholsteries are properly conditioned.